displaying them at the London Book Fair. 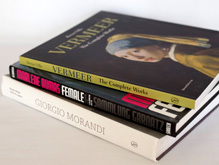 We produce bi-annual catalogues featuring Spring and Autumn new titles. 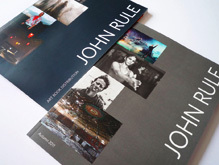 These are mailed to art bookshops, gallery shops, wholesalers, and specialist photography, fashion, architecture and design booksellers, in the UK, Europe, the Middle East and the Far East. Catalogues can also be downloaded from this website. Publishers’ own promotional material can be included in our mailings, or mailed separately to a selected list. We work hard to ensure that all our publishers’ titles are correctly listed in the major bibliographic database, Nielsen Bookdata, and are offered by internet booksellers including Amazon UK and the major marketplace sellers. 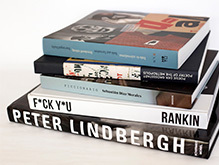 Publishers’ new titles are personally presented to major bookshops during spring and autumn sales trips. We work with a team of experienced freelance representatives in key territories in Europe and the Far East. In the UK, London, Oxford and Cambridge, head office accounts and the major wholesalers are covered from our London office. Freelance agents cover the South-East, the North of England and Ireland. Outside the UK, freelance agents cover the following territories: France & Belgium; Germany, Austria & Switzerland; the Netherlands; Italy & Greece; Spain & Portugal; Scandinavia; Eastern Europe and Russia; the Middle East and the Far East. All our representatives specialize in art & illustrated books and have well-established contacts with buyers from key accounts in their territories. All major accounts are visited at least twice a year. We work closely with Waterstones and other chains with regular contacts at branch and Head Office level. 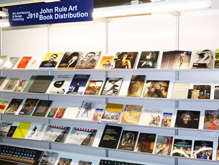 We take a stand every year at the London Book Fair, where a range of publishers’ titles are displayed to the thousands of visitors from around the world, including many prominent booksellers.